Dr LE PILLOUER PROST Anne is a french dermatologist, living in Marseille and graduated from Medical University in 1991. She is a member of French, European and International Societies of Dermatology (French Society of Dermatology, French Laser Group - Vice President, French Aesthetic Group, French Laser Medical Society- SFLM , EADV, ESLD board member and key officer, scar club, IMCAS Paris Scientific Secretary). She has been dermatologist in a private hospital and office in Marseille. She has presented more than 100 invited talks (more than 50 in international meetings) and courses and has published reports refrenced on PubMed. Her main interests are on lasers and EBD, photodynamic therapy, anti-scarring procedures, botulinum toxins and fillers. Severe or resistant evolutive acne: PDT or LED alone? Solar lentigos: how to treat them in 2018? 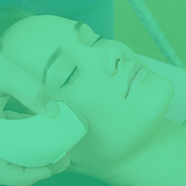 Hidradenitis suppurativa and laser hair removal: how does it work?